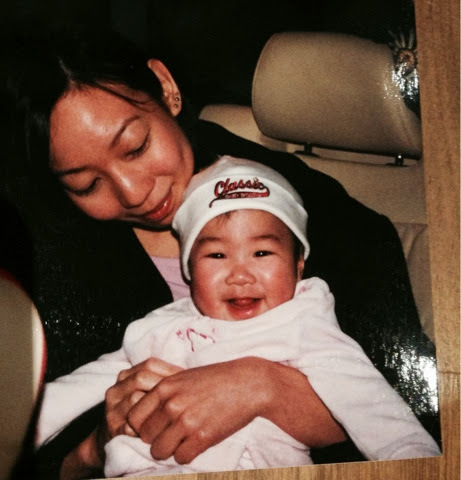 mummywee: My eldest turns 15! How time flies. In the blink of an eye, my dear little baby is now 15! She spent the day shopping with her best friend, then came back for tea. 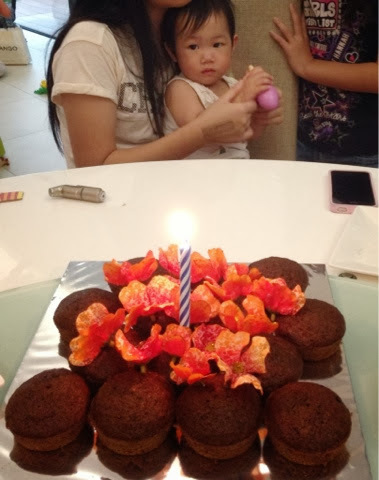 With so many kids, how do I handle their birthdays? Initially, their parties were 'normal'. But as we were living in a condo, they got invited to many neighbours' kid's parties. And some had the works.. face painting, balloon sculpture, jumping castle, magician. Of course kids being kids, when their birthday came, they would ask if they could have "a princess jumping castle just like so-and-so". And as parents, we would want to make them happy on this special day once a year, so we conceded. Over the years, the parties grew to become $1000 affairs, what with the entertainment, catered food, and obligatory party bags. Not to mention all the planning and organising that came along with it. And I had to do it a few times a year! We were seriously party drained, and the worst part was, after every big party where at least 30 kids were invited, when I asked them if they enjoyed themselves, someone would be upset. Because "so-and-so hit the piñata first when it was supposed to be me", or "so-and-so played with the other friend the whole time and ignored me", etc, etc. I realised then that a huge party with lots of money spent and lots of friends invited did not equate to a happy birthday child. So I decided that all this had to stop, and I re-evaluated what a birthday party should be. I also realised that when we did not set a budget for them, they didn't know any better and would request for things which we had to refuse and they would be upset. For example, they would ask for a '3D Winx club cake' which they saw at another friend's party. Such a cake would cost upwards of $200. Furthermore, as we had so many kids, it was hard to be fair, and there would be constant unhappiness when I had to say no to a particular thing they wanted and they would say "so unfair, how come the other sibling could have such and such a thing". I scaled down all their parties, and gave them ample notice that once they reached P1, there would be no more big parties and I would instead give each child $100 on their birthdays to do as they pleased. They could invite their friends over in the day, and then we would have a family dinner or BBQ in the evening. They would also be in charge of organising their birthday parties by themselves. They got really excited and started listing down the things they wanted and asked me for the cost of each. For the birthday cake, when I told them "3D cake, $250" they were stunned. They asked how much a normal cake was. I told them $30. They discussed better ways of getting a cheaper cake. They ended up buying pre-mix from the supermarket and baked for each other on their birthdays. Subsequently, they realised that if they sweetly requested their aunt to bake them a cake, it would be free! And they loved their aunt's cakes. As for entertainment, they made up games for their friends to play. They did Amazing race, played pool games in the swimming pool, and planned other games, all of which cost them nothing. And in fact, they had so much more fun than before! Instead of catered food, they decided they would just order MacDonald's delivery. After checking the prices on the website, they realised it amounted to a huge chunk of their $100. They asked me how else could they get cheaper fries, nuggets and pizza. I suggested the supermarket. They were delighted to see that they could get it for a fraction of the price there and just cook it themselves. The best part was that after paying for the food, the free entertainment and the free cake, they still had money left over which they could use to buy themselves a birthday present. They were overjoyed.. and so was I. As they grew older, their friendships also changed. #1 now prefers to spend the day with just 1 or 2 good friends, and they would go bowling, have a simple meal, and spend the rest of the money on some trinkets for herself and her friends. 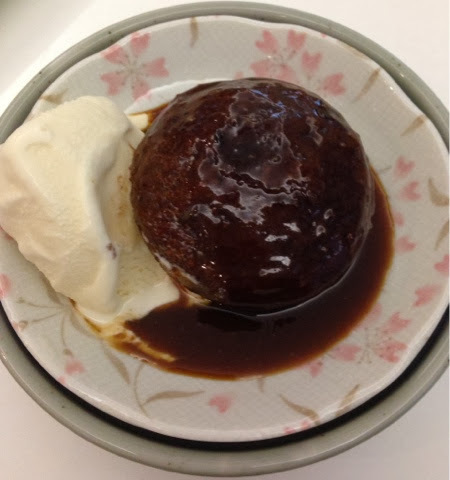 Her godma baked her signature sticky date pudding - moist and full bodied. Actually, I really missed eating it so I requested her to bake it for #1's birthday. And now they all love it too! Sane tip: Organising their parties used to be so tiring, but now that I outsource it to them, not only does it relieve me of the unnecessary stress, but it has taught them so much. The value of money, budgeting, and planning and organising skills. And most of all, that happiness does not come from 'the bigger, the better', but from being with a few close friends and your family. Save tip: I managed to scale their parties down from $1000 per party to $100.